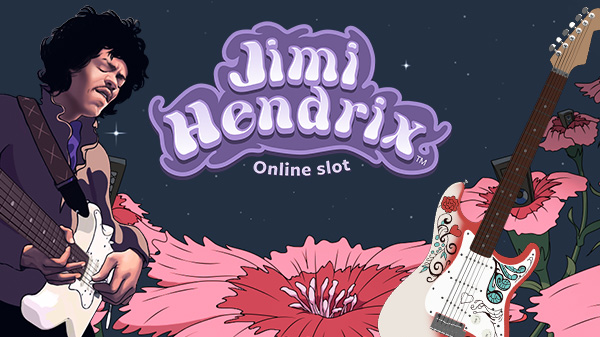 In the spirit of celebrating the launch of the rock ‘n rolling, Jimi Hendrix Slot this April 2016, we have teamed up with CasinoCruise to bring you an Exclusive 20 No Deposit Jimi Hendrix Free Spins deal and an Exclusive Welcome Bonus. All new players at CasinoCruise are eligible to receive the Exclusive Welcome Bonus. Make a deposit of at least AUD/CAD/€/£/$20 at CasinoCruise and you’ll get a 100% Bonus up to AUD/CAD/€/£/$200 and 100 Free Spins on the Starburst slot. Your 100 Starburst Free Spins will be given to you over 5 consecutive days, where you will receive 20 Free Spins each day. Note that you will only receive your first set of 20 Free Spins the next day after your deposit is made, at 12h00 GMT. Remember to choose the ‘Select bonus’ display list when you are making your deposits to get each Deposit Bonus. 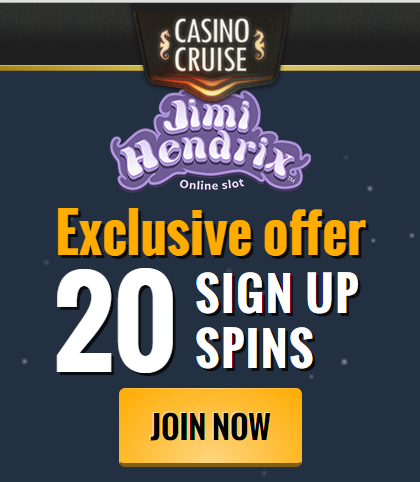 All new players can also get an Exclusive 20 No Deposit Jimi Hendrix Free Spins when they sign up for a new account at CasinoCruise. 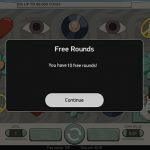 How do I get my Exclusive 20 No Deposit Jimi Hendrix Free Spins? All new players that have never signed up for an account at CasinoCruise are eligible for this Exclusive offer. 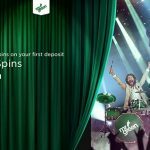 Simply sign up for an account, and you will be able to get your 20 No Deposit Jimi Hendrix Free Spins the next day by 12h00 GMT. You can also choose to play your 20 No Deposit free spins on Glow slot if you wish. Note that your No Deposit free spins carry NO wagering requirements, so whatever you win is credited as real money and is yours to keep. The maximum withdrawal from your No Deposit free spins winnings is AUD/CAD/€/£/$100. Players from these countries are restricted from accepting this No Deposit Free Spins offer: Turkey, Romania, Lithuania, Belarus, Latvia, Czech Republic, Hungary, China, Bulgaria, Poland, Bosnia and Herzegovina, Croatia, Greece, Republic of Moldova and Ukraine. 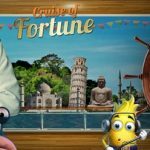 Posted in Casino Cruise and tagged Jimi Hendrix Free Spins, Jimi Hendrix Free Spins No Deposit, Jimi Hendrix Slot, Jimi Hendrix Slot Free Spins.